Regardless of the genre of music, a mix will never be any good unless the song's groove is emphasized. Sometimes it's not easy to find and develop the groove, however, so here's a couple of exercises from the Audio Mixing Bootcamp to help you find it. "The groove is the pulse of the song. While it usually comes from the drums and bass, it could really come from any instrument or even a vocal. And lest you think that the groove is predominantly a fixture of one type of music like funk or R&B, you’ll find that a strong groove exists in just about any type of good music, regardless of the genre or style. Don’t believe me? Listen to the US Marine Corps band play “Stars And Stripes Forever” and then listen to a typical high school band. The Marines have a groove that makes you want to jump up and march with them just as much as you want to shake your booty to a James Brown or Prince song. The best way to develop the groove is to find the instrument or instruments in the song that supplies its pulse. As said before, it’s usually the bass and drums, but it could very well be a loop, a keyboard, a guitar, and rarely, a vocal. 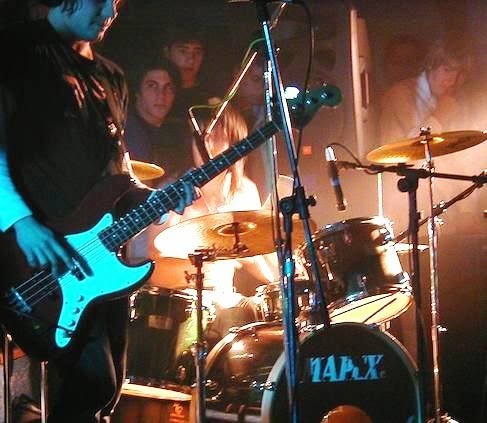 If a band is playing particularly well together, it may be several instruments at the same time. A) Listen to the entire mix all the way through. Is there an instrument or instruments that establishes the pulse of the song? B) If an instrument doesn’t stick out as being the pulse of the song, go through each track one by one and raise the level by about 3 dB. After you’ve listened, return it to its previous level position. Do you hear one or more tracks as establishing the pulse of the song now? Understand that if you’re working on a song that wasn’t well performed, there may not be a track that establishes the groove. If that’s the case, it’s usually the producer’s call to recut the track, or you’ll just have to make due with the instrument that feels the best. Remember that mixing is always easier with well recorded tracks, great playing, and excellent arrangements. Once the instrument (or instruments) that establishes the groove is found, the next step is to emphasis it. This can be done by raising the level as little as one dB, or adding an extra bit of compression or EQ to make it stand out a bit more in the mix. Then make sure that the rest of the tracks support your groove instrument by tailoring the mix around it. Take notice in the exercises below that we’re adding very small increments of level, compression or EQ. In theory, one dB is the minimum amount that the average person can hear according to most text books (it’s actually less than that), and sometimes that’s all you need to change the balance or feel in a mix. On just about anything in mixing, always begin with small increments first. A) Raise the level of each of the groove tracks by one dB. Can you feel the groove better? If not, add another dB. Can you feel it now? If not, add another dB, but be cautious not to make the tracks too far out in front of the mix. B) If your groove tracks are already being compressed, add another dB or two of compression. Keep the level the same by adjusting the Output control or raising the channel fader. Can you feel the groove better? If the groove tracks aren’t compressed, then refer back to Chapter 6 and add compression. C) If your groove tracks are already equalized, add an additional dB at the EQ points. Can you feel the groove better? If not, add another dB. Can you feel it now? Be cautious that the tracks are not too far out in front of the mix or that they don’t clash with another instrument. D) After the groove is established and drives the mix, do any final tweaks to the other tracks to make sure they’re not covered up or that they don’t clash with the groove tracks." To read additional excerpts from the Audio Mixing Bootcamp or my other books, go to the excerpts section of bobbyowsinski.com.